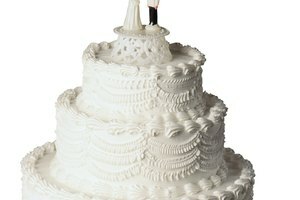 Does Mascarpone Frosting Need to Be Refrigerated? Resembling thick sour cream or very soft and smooth cream cheese, mascarpone adds a light tang and rich creaminess to frosting that makes your desserts special. It's also versatile, as you can substitute it for milk in mashed potatoes and for cream cheese in cheesecakes. 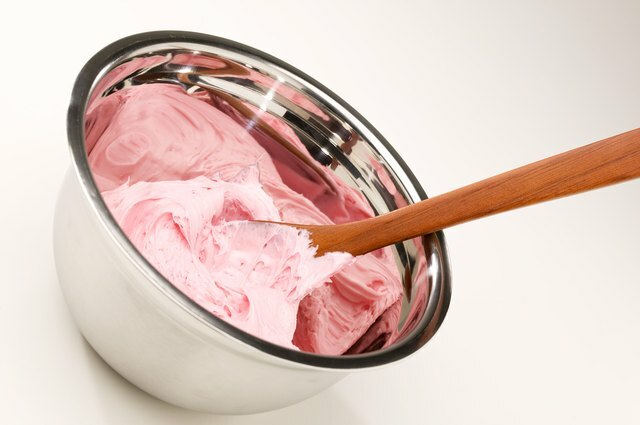 You need to refrigerate any food product using mascarpone, including frosting. Mascarpone is a buttery and rich cow's milk cheese; however, if you want to get technical, mascarpone isn't actually cheese, but curdled cream. That's because it's curdled using citric or tartaric acid instead of rennet, the animal enzyme that is typically use to curdle milk in cheese. Nonetheless, mascarpone needs the same refrigeration as other dairy products, such as milk, yogurt or cheese. Mascarpone originated in Italy and contains either a double or triple cream that has at least 60 percent milk fat. Mascarpone frostings come in as many variations as other frostings. 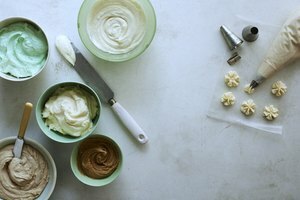 You can make a mascarpone frosting using various proportions of mascarpone and other ingredients and flavorings, depending on taste. 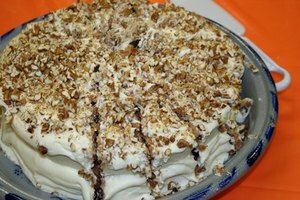 For example, you can make a mascarpone frosting with equal proportions of mascarpone, butter and cream cheese. Or, for a creamier consistency, you can make it without the cream cheese and butter, replacing them with whipping cream, using twice as much whipping cream as mascarpone. Regardless of what you combine with the mascarpone, the dairy products you use require refrigeration as well. However, when making mascarpone frosting, you might want to bring the mascarpone to room temperature for ease of blending. Bacteria occur naturally in the air and on every surface in your home and on your body, but food provides an ideal breeding ground for the bacteria to grow quickly. In fact, bacteria in food double every 20 minutes according to the Foodsafety.gov website. 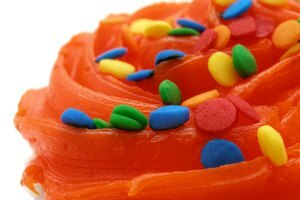 A general rule of thumb to keep mascarpone frosting safe from bacteria, you need to refrigerate it within two hours of preparation. You need to refrigerate mascarpone frosting in the cooler sections of your refrigerator. Set your refrigerator at 40 degrees Fahrenheit and check the temperatures with a thermometer in various sections, finding a cool section -- between 33 and 38 degrees F -- for your frosting. 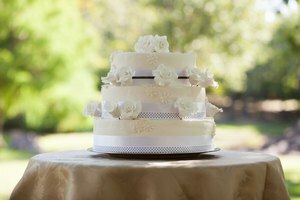 Refrigeration causes flavors in both a cake and frosting to become less intense and the textures to harden. You can solve these problems by bringing your desserts with mascarpone frosting to room temperature. Simply leave them out for about 20 minutes before serving.